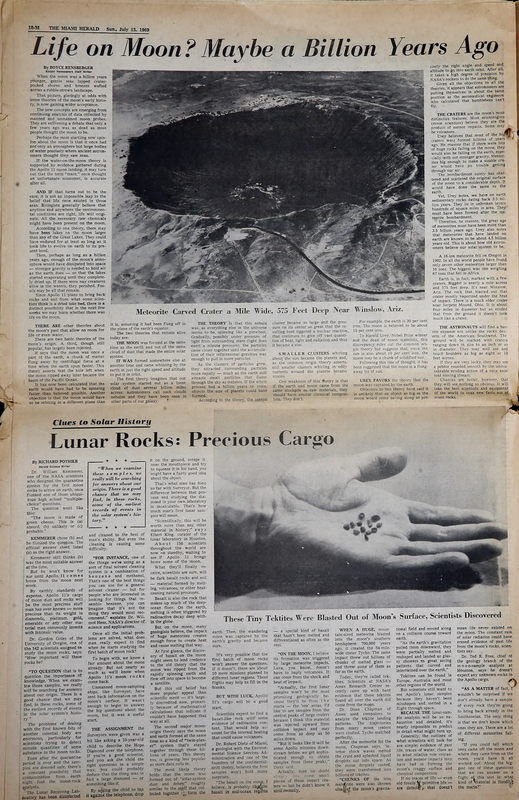 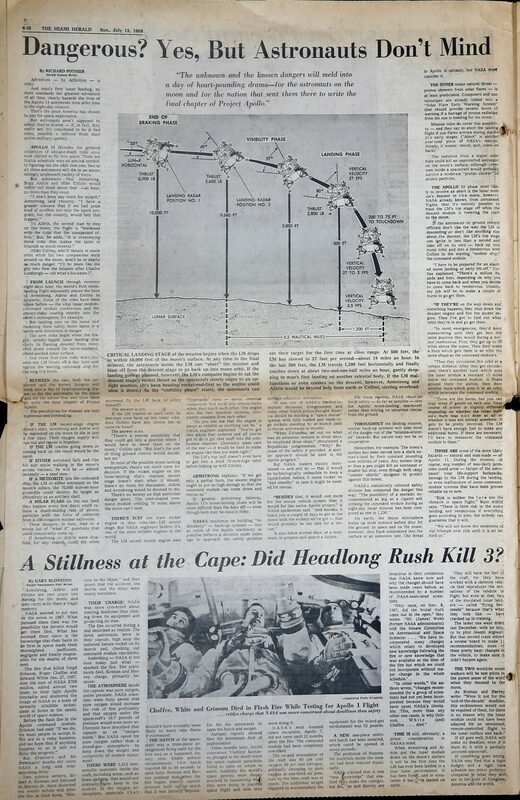 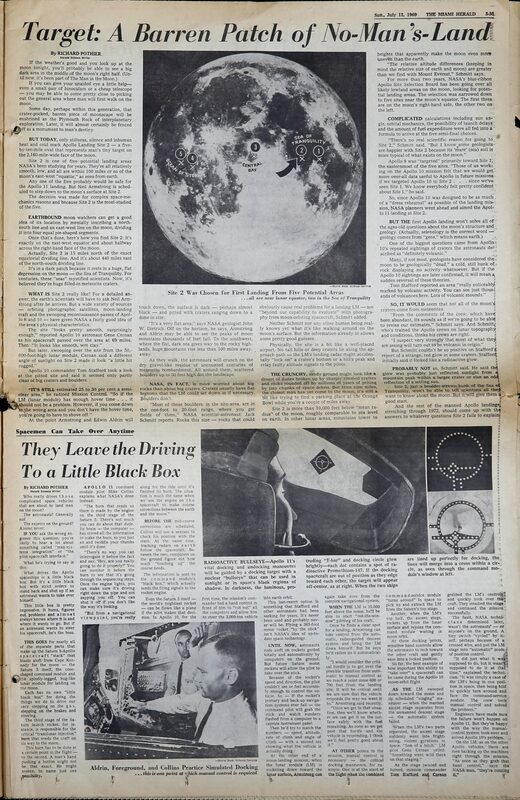 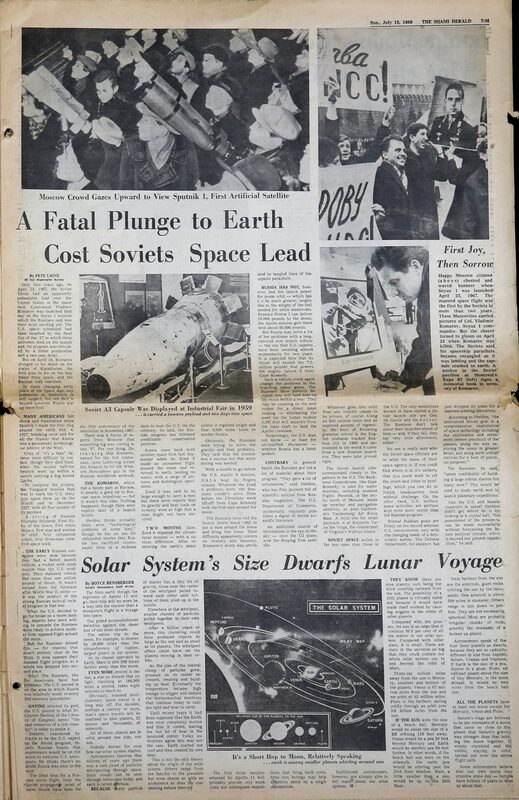 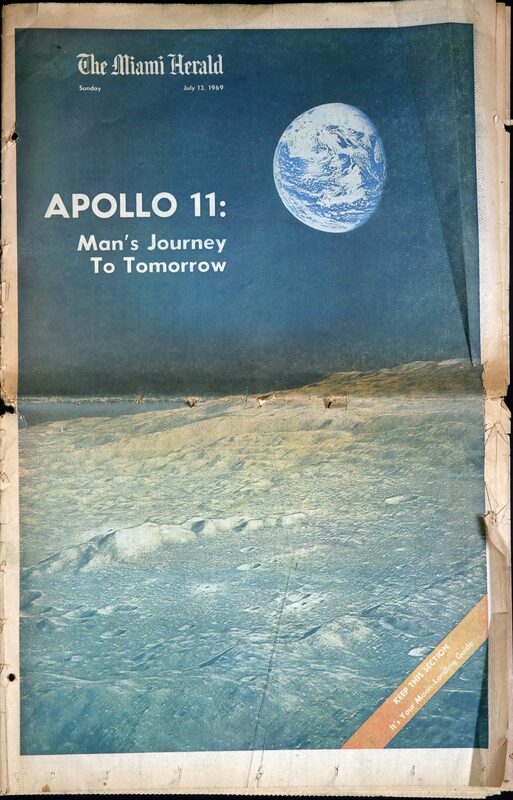 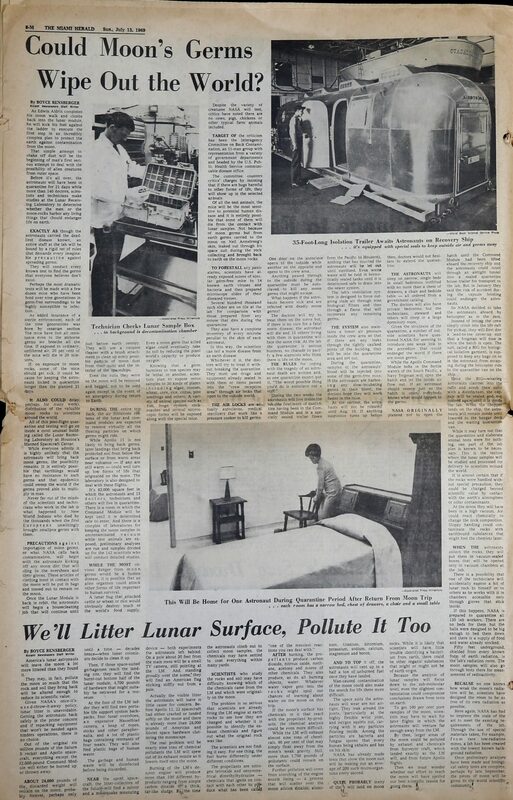 1969 marked the most monumental science and technology project in history – a bold crusade inspired by President Kennedy, fueled by $25 billion and joined by 390,000 American workers – climaxed with the first landing on the moon. 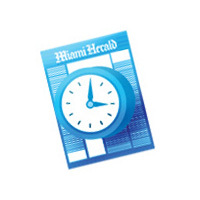 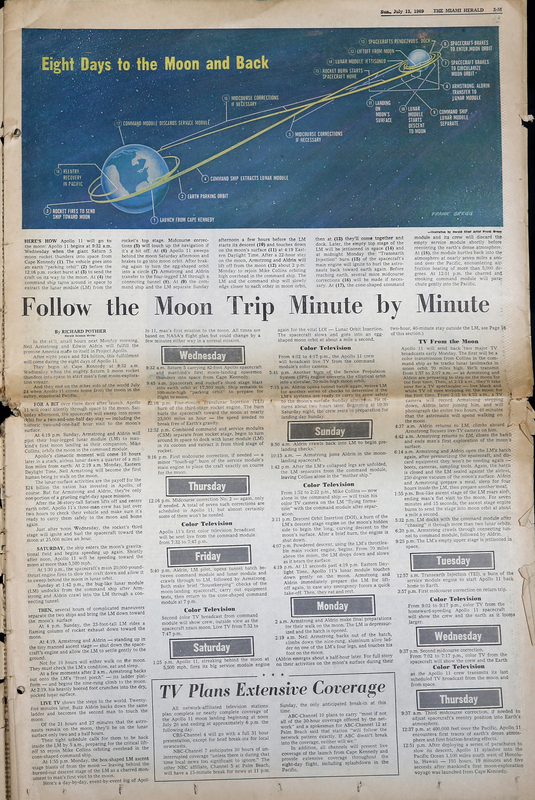 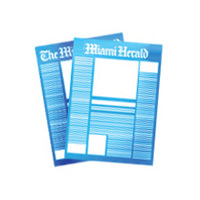 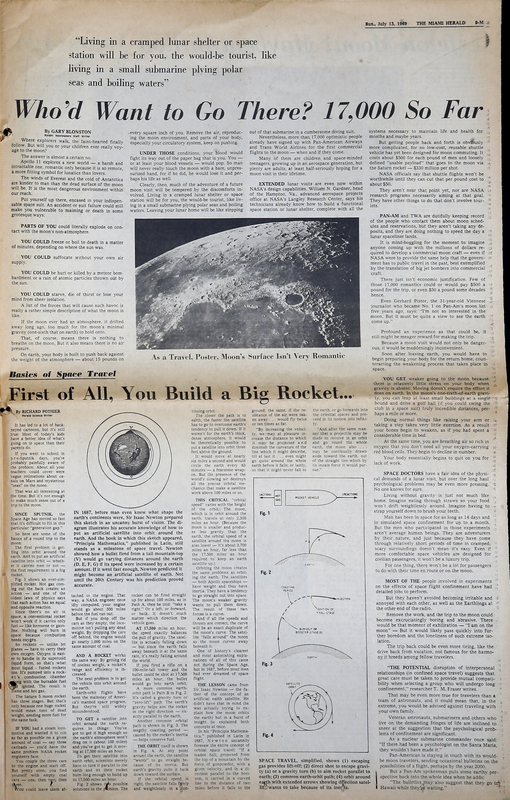 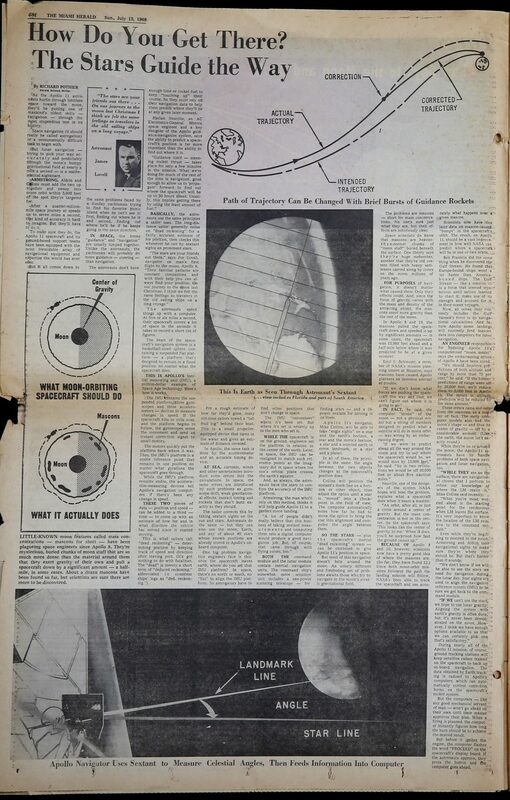 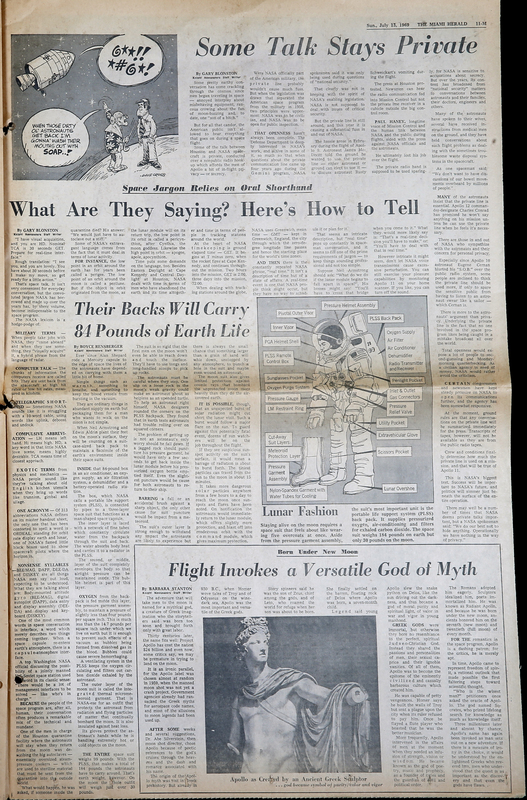 The Miami Herald, in anticipation of this historic moment, ran a special section detailing every aspect of the mission. 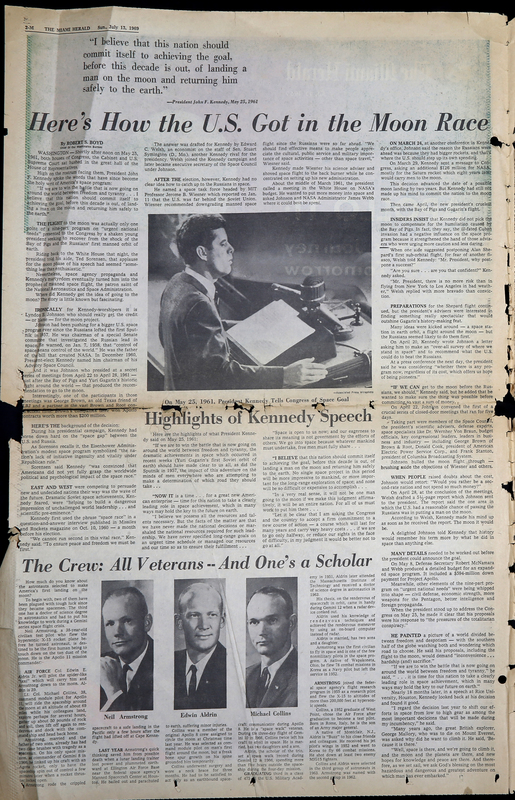 Due to the fragility of the paper, we could not scan the pages of this issue, instead, we photographed it, which is why you will see creases and folds on the pages.